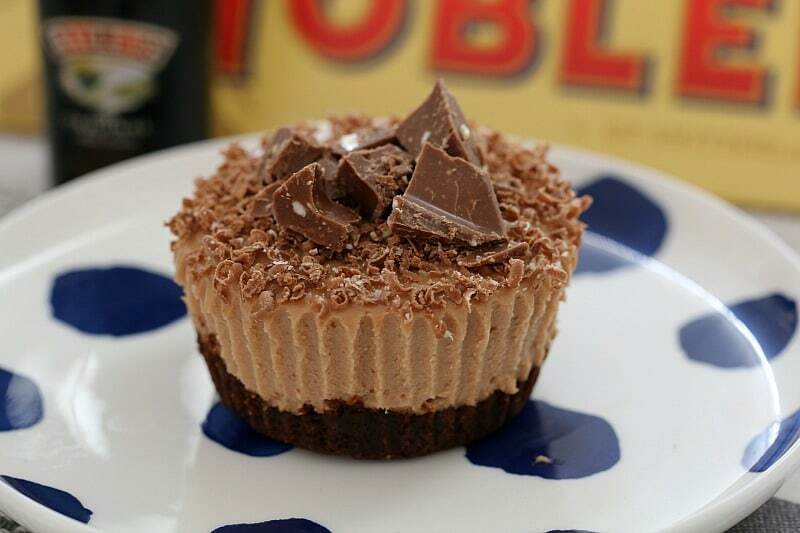 These Mini Toblerone & Baileys Cheesecakes are so naughty… and totally delicious! Best of all, they’re completely no-bake! Let me start off this recipe by admitting three very important things. 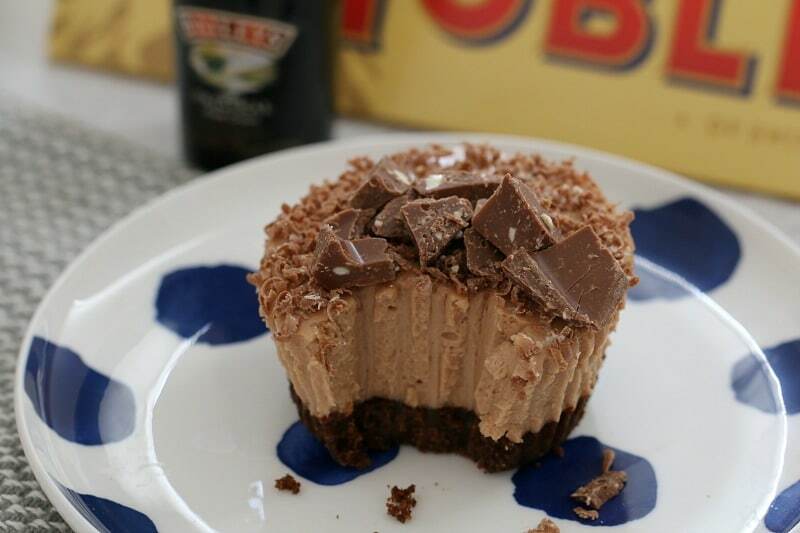 I LOVE Toblerone, I LOVE cheesecake and I LOVE Baileys. 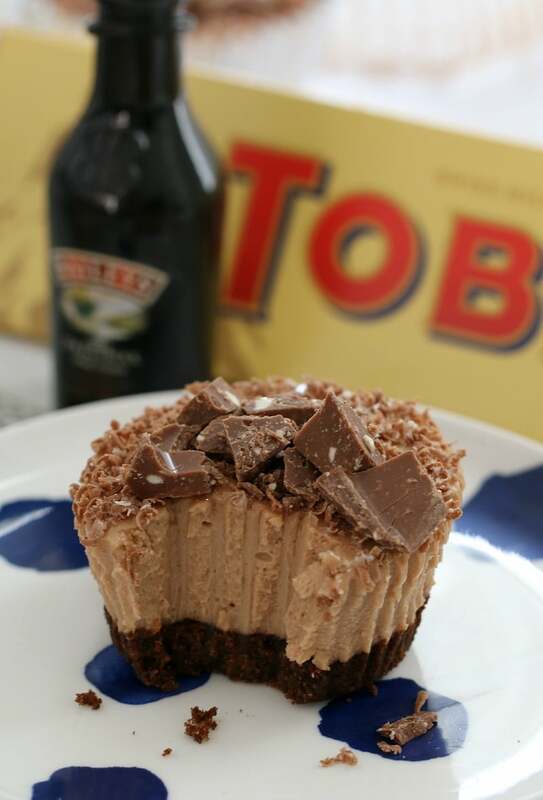 So these Mini Toblerone & Baileys Cheesecakes are pretty much my new best friends. They’re also completely no-bake which is the best! There’s no mucking around with the oven… you just whip up the mixture, divide it between the muffin tin holes, pop it in the fridge, wait a couple of hours and voila! The yummiest, easiest no-bake cheesecakes ever! I absolutely love that these are made in a muffin tin. 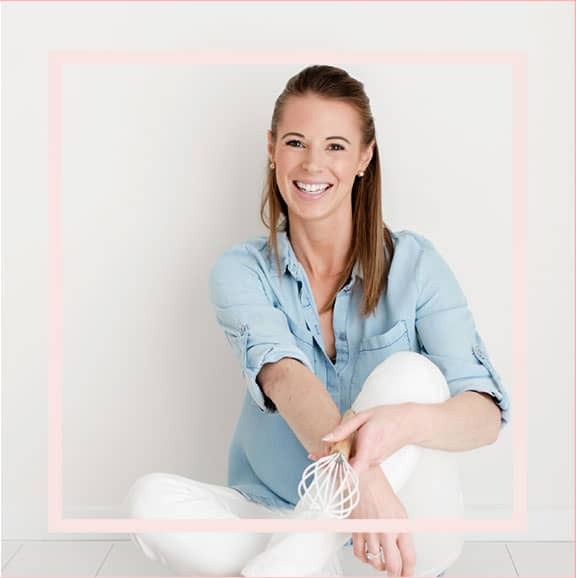 I mean… everyone has a muffin tin lying around in their cupboard, right!? And then it’s simply a matter of lining the muffin holes with a cupcake case or liner and filling them with the cheesecake mixture. Using a muffin tin really does give you the most perfect sized individual dessert. YUM! 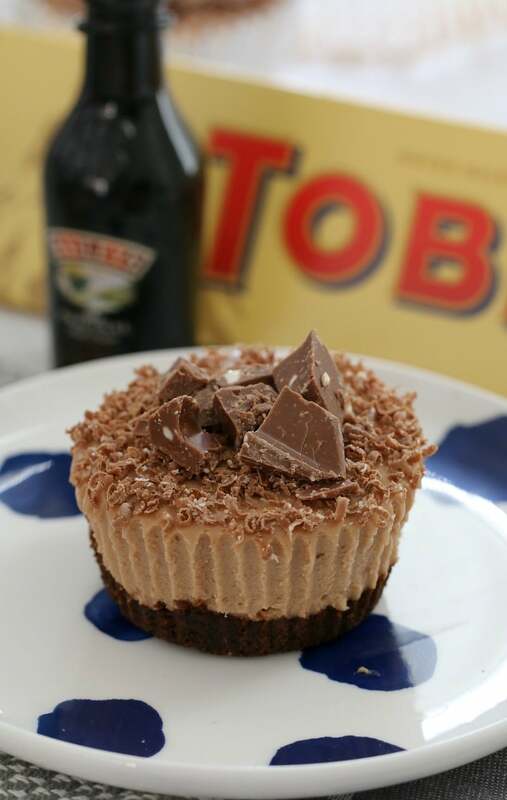 Now a little word of warning… these Mini Toblerone & Baileys Cheesecakes have a beautiful subtle Baileys flavour. 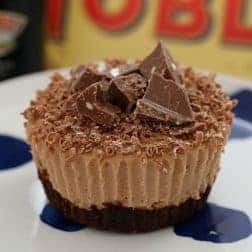 You can totally amp up the flavour by adding in extra Baileys, but just make sure you also add in a little extra gelatine to ensure the mini cheesecakes still set. If you’re anything like me, you’re going to love these naughty little things. Not only do they taste amazing… they’re also ‘mini’ which means absolutely no sharing! Nope you can keep the whole little thing all to yourself! Whatever you do this week, make sure it involves making these delicious little treats! YUM! PS. For something a little different (but just as naughty! 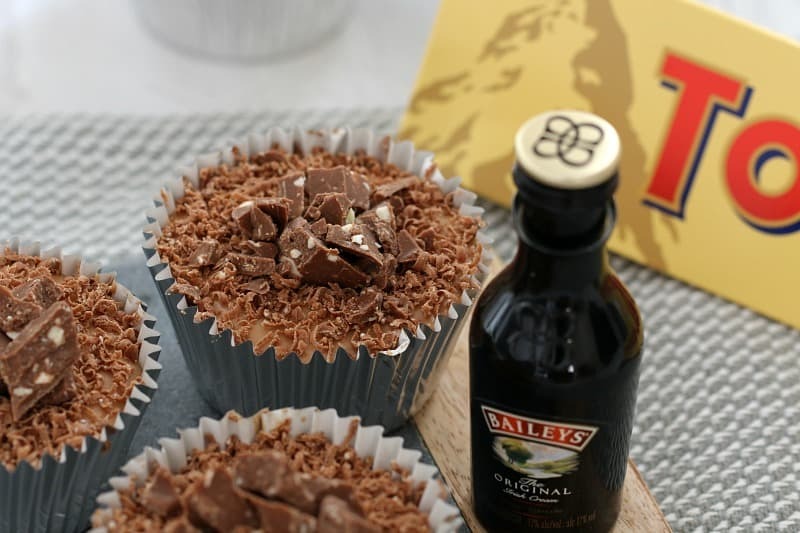 ), check out my Baileys Cheesecake Balls… or even the Kahlua version! These Mini Toblerone & Baileys Cheesecakes are so naughty... and totally delicious! Best of all, they're completely no-bake! Place muffin liners into each hole of a 12 hole muffin tin. Finely crush the chocolate ripple biscuits in a food processor and place into a bowl. Add the melted butter and mix until well combined. Divide the mixture between each of the cupcake cases and press down firmly. Pour ¼ cup of boiling water into a cup, sprinkle over the gelatine and stir until dissolved. Allow to cool. Beat the cream cheese, caster sugar and Baileys together until smooth and creamy. Add the cooled, dissolved gelatine to the mix and beat until well combined. Melt the Toblerone chocolate and set aside to cool. Fold the melted milk chocolate and the whipped cream through the cream cheese mixture. Divide the mixture amongst the muffin holes (filling to just below the top). 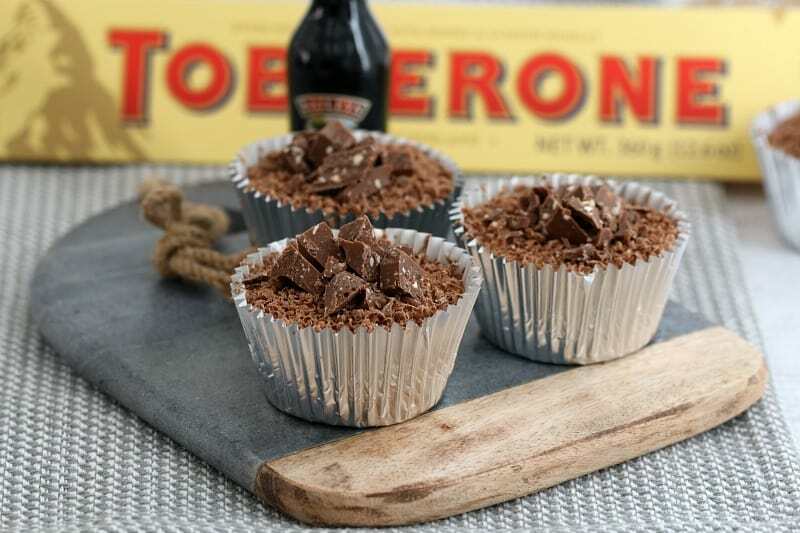 Grate over the remaining Toblerone chocolate and add a few extra chunks of chocolate. Place the cheesecake back into the fridge to set for a minimum of 4-6 hours. Depending on the size of your muffin tin, you may find that you have enough mixture for more than 12. I used a tin with large muffin holes in this recipes and mine made 12. 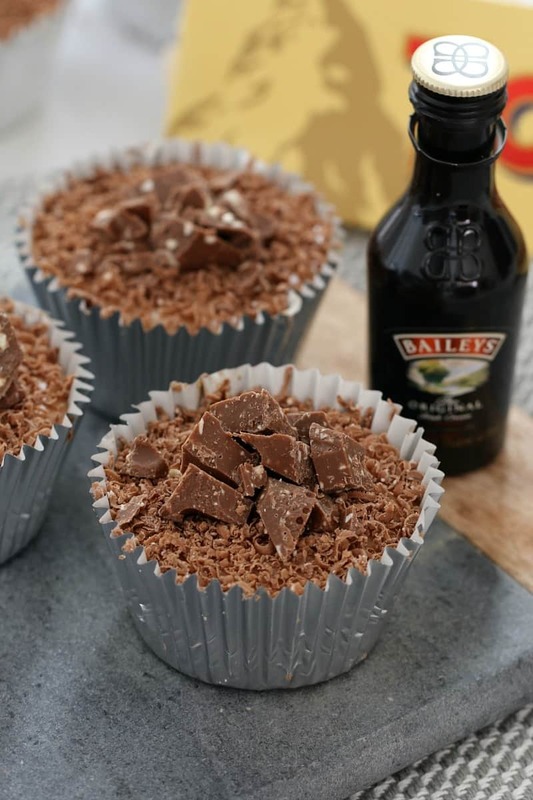 You can add more Baileys to give a stronger flavour, however, you will also need to add slightly more gelatine to help them set. Melt butter in the TM bowl for 2 minutes, 100 degrees, Speed 1. Add the chocolate ripple biscuits and crush on Speed 10, 10 seconds. Scrape down the sides of the bowl and repeat until well combined. Whip cream in a clean, dry TM bowl on Speed 3.5 until lightly whipped (the time it takes will depend on the freshness of the cream - it can be anywhere between 10 seconds and 2 minutes!!). Set the cream aside in a separate bowl. Beat the cream cheese, caster sugar and Baileys in a clean and dry TM bowl on Speed 5, 30 seconds. Scrape down the sides with a spatula and repeat until smooth and creamy. Add the cooled, dissolved gelatine to the mix and mix on Speed 5, 30 seconds. 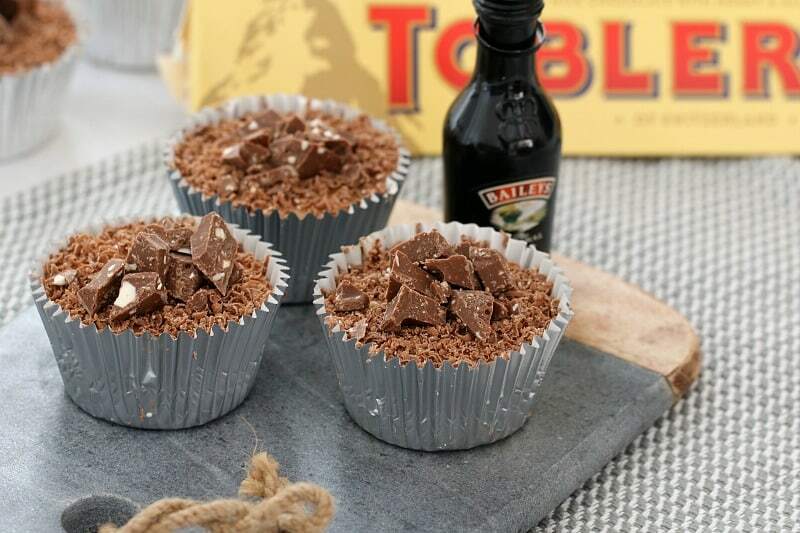 Place the Toblerone chocolate into the TM bowl and melt on 50 degrees, Speed 2 for 3 minutes. Set aside in a bowl to cool slightly. I love that these are small in stature but big on taste! They look so good and the best bit? No sharing! 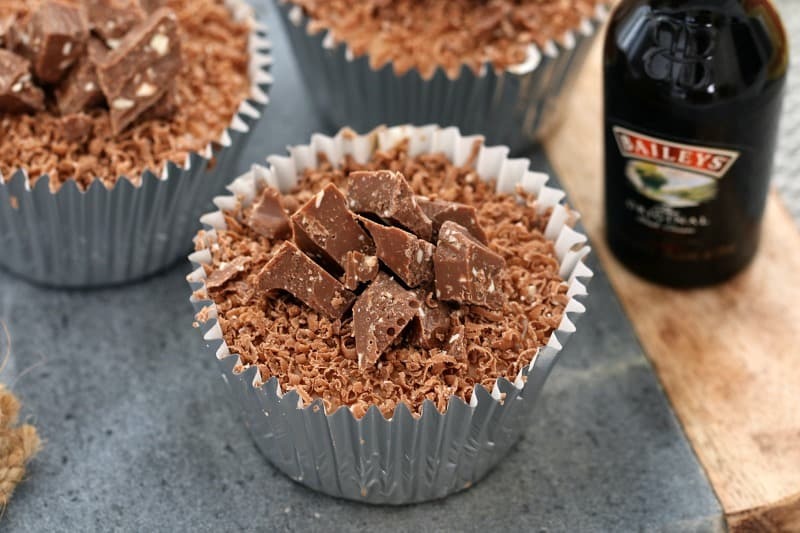 If I made these without the baileys ho much gelatine would I add?